Host John Mark Lapham delves in to the sordid, bumpy and transient world of one hit wonders to take a closer look at the albums that spawned the hit. One Hit Wondering examines the full body of work to weigh in on whether it merits a second look or if it did indeed deserve a swift, merciful death. Join John Mark and guests as they take a sometimes irreverent, sometimes educational examination of these blips in the history of popular music. 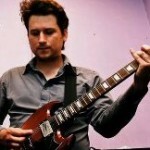 John Mark is a musician and audio producer. 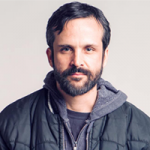 His past music projects have included the bands The Earlies (Names/Secretly Canadian), The Late Cord (4AD) and The Revival Hour (Antiphon). In addition to One Hit Wondering, he is also currently working on several different music projects. John Mark currently lives in Texas. We have a very special episode for you this month! Not one but TWO guests join me to break down the man, the legend, the mighty force that is Chris de Burgh. He is known here in the States primarily for his ballad The Lady in Red, but to some he is much, much more: part historian, part lover, and perhaps, part observer of the apocalypse! We play a new game called ‘Verses From Hell’ where one guest will be reading lyrics from an array of bad pop songs and the other will have to figure out which ‘stone cold classic’ they’re from. It’s a show of mythic proportions! 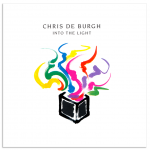 Chris de Burgh – Into the Light (A&M Records-1986) To some, Chris de Burgh is a crooner known only for an 80s soft rock ballad. To others he is a legend. His career spans several decades and has had several hits during that time. 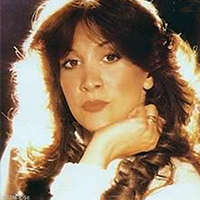 Into the Light was his eighth studio album and after all that time, spawned his biggest hit, The Lady in Red. This album is full of drama and a history that could only be imagined by someone of de Burgh’s epic ambition! 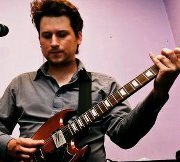 Robin Allender (Edinburgh, Scotland) is a multi instrumentalist who has played with Gravenhurst, The Revival Hour and is currently on tour with Yann Tiersen. Our new show covers ground from London to Edinburgh, New York to LA. USA Today pop culture blogger, Whitney Mattheson, joins me to look at two albums from the UK. First up is Bow Wow Wow’s 1982 album, I Want Candy and then the 1994 album by Edwyn Collins, Gorgeous George. Both albums were eclipsed by their hit singles and we cry foul! This show includes an interview with Annabella Lwin, the singer from Bow Wow Wow. She shares stories about starting in the music business so young and what she’s been up to since that time. 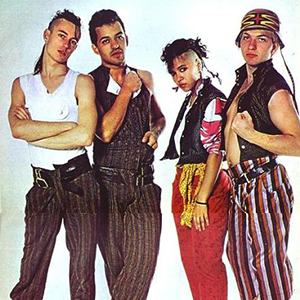 Bow Wow Wow were a British band fronted by feisty singer, Annabella Lwin and some former members of Adam and the Ants. Their 1982 album, I Want Candy, was actually assembled especially for the US market and is made up of singles and various other tracks that had already been released in the UK. Though they had several other songs that had varying degrees of success, here in the US most people only remember the sugary sweet title track. 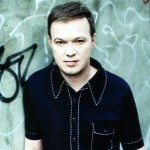 It took a long time for the world to notice Edwyn Collins. Prior to his massive single, A Girl Like You, he was making music with his band, Orange Juice for the label he co-founded, Postcard Records. It wasn’t until the release of his third solo album, Gorgeous George, and its Northern Soul-inspired lead single, A Girl Like You, did things begin to change. 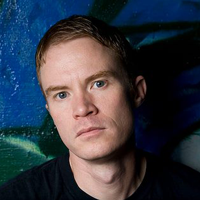 Thanks largely in part to its inclusion on the Empire Records soundtrack, his career took off on a global level. This is without a doubt a case of the song (and soundtrack) overshadowing the album! Whitney Matheson (New York NY) is the writer and editor of Pop Candy (popcandy.usatoday.com), a pop-culture blog for USA TODAY. While her specialties are indie, geek and retro culture (TV, film, music and books), Whitney enjoys covering any entertainment that falls a little out of the mainstream. Her TV credits include appearances on MSNBC, VH1, BBC America, E! 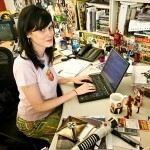 and G4, and she has delivered commentary on various web series, podcasts and radio stations. On this episode of ​One Hit Wondering, guest Daniel Latham ​stops by to disassemble each of ​these singer’s first post-ABBA albums to try and figure out what fueled them and ultimately why these singers couldn’t find lasting, global success as solo artists. This episode is brought to you by Dream Spectrum Marketing. Frida was ABBA’s ​sweet, ​raven haired songstress. Agnetha was the blonde bombshell who later became branded as some sort of tragic, ‘Garbo’esque’ figure. 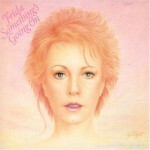 Frida’s ABBA output includes hits such as Knowing Me, Knowing You, Money, Money, Money, And Super Trouper while Agnetha is best known for SOS, Gimme! Gimme! Gimme! (A Man After Midnight) and The Winner Takes It All. Together they made beautiful music that has stood the test of time, but why do we hear so little about their solo careers? Frida had a hit back in 1982 with her song, I Know There’s Something Going On and just months later, Agnetha had her big US chart entry with ‘Can’t Shake Loose.’ Both seemed to be vying for pop supremacy, but neither were able to repeat that initial hit success on these shores. We discuss at length who they were working with on these albums, what was going on in their personallives, and attempt to lay to rest whether it was all a friendly competition or more of a deeper struggle between these two larger than life personalities. On this episode of One Hit Wondering, music journalist John Freeman stops by to discuss albums by 80’s synth pop band, Re-flex and 90’s Aussie rockers, Divinyls. Along the way, we talk Mall-friendly 80’s pop, bad stadium rock and pop songs about masturbation. This episode is brought to you by Dream Spectrum Marketing. 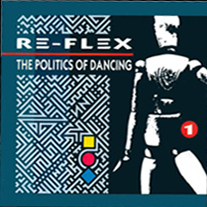 In 1983, the world was introduced to this British band by way of a top-tapping, synth-ladden pop hit called ‘The Politics of Dancing.’ And so a million 80s compilations were born! But what about the rest of their album? We discuss the highs and lows of this, what turned out to be their only major label long player. Includes an interview with the lead singer of Re-Flex, Baxter, who recounts his experiences leading up to this debut release and what happened after, including stories of how it all ultimately fell apart for the band.. The Divinyls were an Australian rock band whose hit, I Touch Myself, launched their career as a worldwide pop sensation. But for years before, they were a successful hard rock band in their native country. We talk about how their sound changed to become a more radio friendly pop act, and about the strange allure of the lead singer, Christine Amphlett. 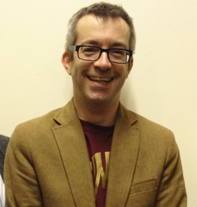 John Freeman is a music journalist based in Manchester, England. 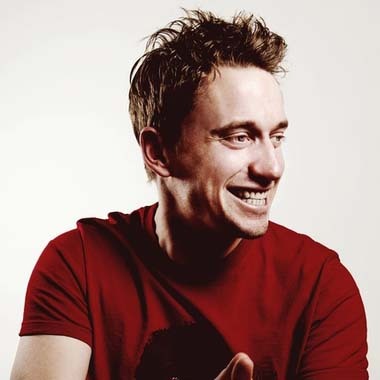 He currently writes for the web based music magazine, The Quietus, and has had past features in Clash magazine, The Stool Pigeon and The Line of Best Fit. We have put together a special mini-episode from a UK perspective. This time around we’re focusing on just one song, one that had many incarnations through several decades. 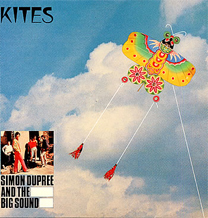 “Kites” was originally a hit in 1967 by Simon Dupree and the Big Sound (who would go on to form legendary prog rock band, Gentle Giant). Nearly 15 years later the song was re-imagined by 39 Lyon St., a spin-off from Scottish new wave band, The Associates. 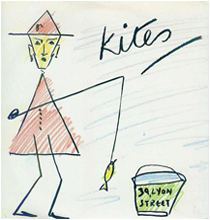 Host John Mark Lapham and music journalist, Martin Aston, revisit these and other versions of the song and find beauty in the many lives of Kites. Martin Aston is a freelance music journalist who has been writing for UK publications for 30 years including MOJO, Q, The Guardian, The Times, BBC Music OnLine and most recently wrote a book on the history of the legendary record label, 4AD, entitled: Facing the Other Way: The Story of 4AD. 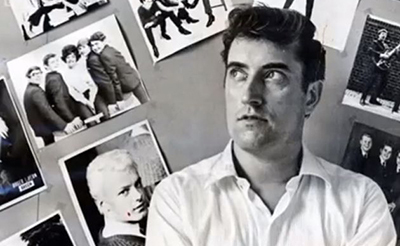 On this installment we take a look at two of pop history’s most enigmatic artists: reclusive studio maverick, Joe Meek with his band, The Tornados, and legendary UK band, Talk Talk. The Tornados – Album: The Original Telstar – The Sounds of the Tornados (London Records, 1962) The UK’s answer to the Shadows, The Tornados were basically Joe Meek’s goto in-house musicians that he would use to help him conceive his crazy, animated compositions. Everyone knows their big hit, Telstar, but what else was going on? We take a look at the tumultuous life of their ringleader and discuss the merits of their debut album. Much has been written about the now legendary band and their reclusive singer, Mark Hollis. Their rabid fanbase is divided in to two distinct camps: Those who know them for their catchy, early 80s synth pop hits and those who love them for their dark, brooding ambient-folk-free jazz-post rock output. 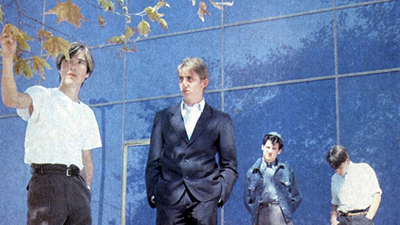 We start with their 1984 album that includes their big hit here in the US and diverge on to subjects like, what happened after the hit and what are the parallels between Talk Talk and Radiohead? The year is 1982. The pop charts were changing rapidly. In this installment we visit both ends of the pop music spectrum to take a look at albums that gave birth to an earnest pop ballad and a pioneering electro funk classic. Charlene Oliver, aka Charlene, will forever be known as the wisened, world weary traveler who dispensed advice to downtrodden housewives everywhere with her massive hit, I’ve Never Been to Me. We take a listen to her Motown album (including her collaboration with Stevie Wonder) to see what else was going on. SPECIAL! Includes a interview with Charlene herself who will give us some insight in to the making of her album and the hit it gave birth to. 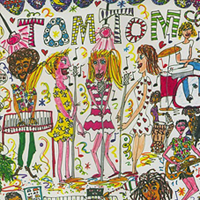 The Tom Tom Club at its core are Tina Weymouth and Chris Frantz, known originally as one half of New York art rockers, The Talking Heads. Their seminal hit Genius of Love was a not only a trailblazing production that has been sampled countless times, but also had a groundbreaking video that accompanied it. According to the US Billboard charts, the band (many would say unfairly) are considered to be a one hit wonder. We listened to their debut album to find out how it measures up as a whole. 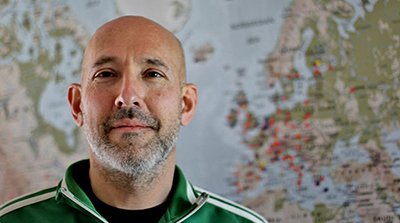 Scott Heim is the author of the novels We Disappear, In Awe, and Mysterious Skin (which was made into a film by Gregg Araki in 2005). 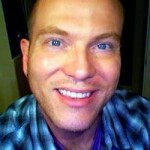 He is also the editor of “The First Time I Heard” series of music-related books. Originally from Kansas, he now makes his home in Boston, and is working on a new novel.